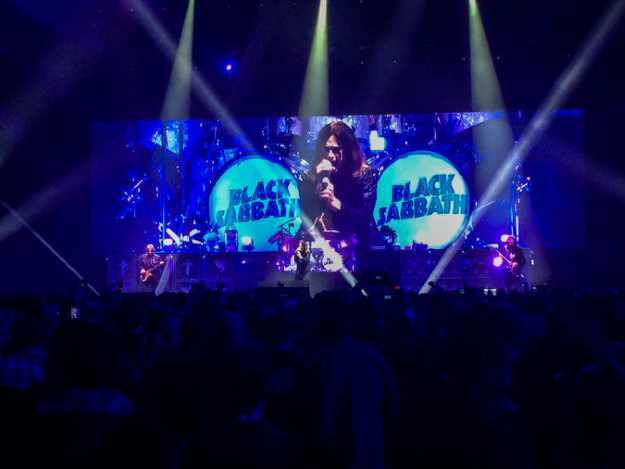 BIRMINGHAM, England — On Saturday night at the Genting Arena here, a billowing white curtain whipped up and into the ceiling to reveal the singer Ozzy Osbourne, who, for perhaps the last time ever as the frontman of Black Sabbath, plunged into the 1970 song that gave the band its name. 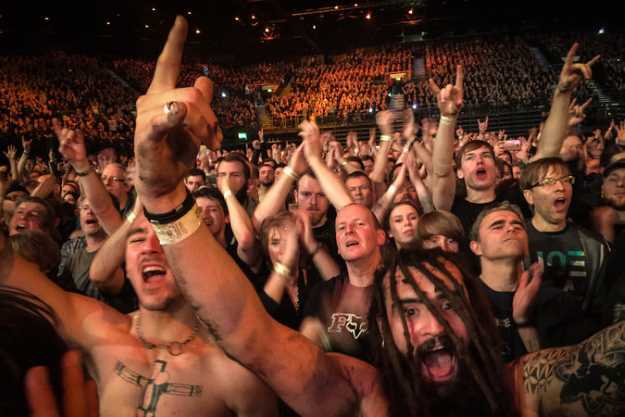 The track kicked off the final concert on a tour called “The End,” which the heavy-metal band has billed as its last performances. After 49 years, the group — which formed here in 1968 and has had dramatic ups and downs and a rotating roster of members — finally threw in the towel with a hometown concert. Fans and members of the news media were buzzing before the concert with rumors of possible antics and surprises — perhaps even an appearance by the original drummer, Bill Ward, estranged from the group since 2012. But Black Sabbath played it straight, turning in almost two hours of its earliest 1960s and ’70s songs, pretty much unadulterated (but, of course, quite loud). 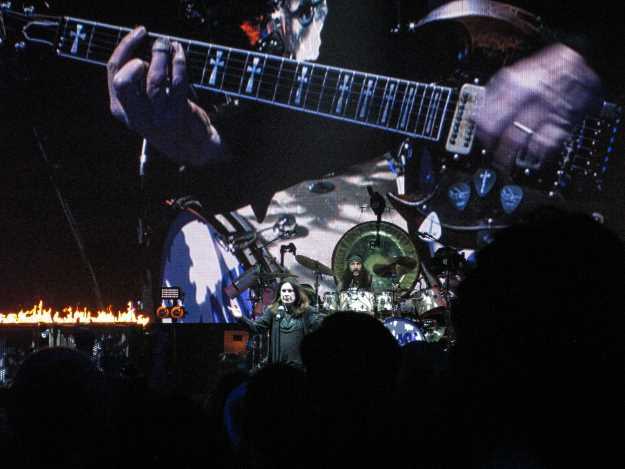 Flanked by the original band members Tony Iommi (on guitar) and Geezer Butler (on bass) and backed by Tommy Clufetos, a younger drummer who rejoined them for the tour, Mr. Osbourne stood center stage and clutched the microphone, undulating back and forth as he sang. There were pyrotechnics for the big numbers, confetti at the end, and at one point a surprise volley of fireworks onstage. Giant black and purple balloons spilled from the ceiling in the penultimate song, and bounced around the arena for the rest of the night. Nearly a half-century ago, Black Sabbath began as a blues band. It quickly morphed into its own genre. In the band’s early years, its slow-building anthems and vague overtures toward Satanism in its lyrics earned them ridicule from mainstream critics and audiences while mobilizing a growing underground fan base. Mr. Osbourne gained a reputation as a forbidding figure who embraced hard living, and gained notoriety for biting off the head of a real bat during a 1982 concert. But Mr. Osbourne’s fame underwent a surprising shift when he began starring in the 2002 MTV reality TV show “The Osbournes,” which portrayed him as a lovable, murmuring goofball and family man. And at its closing concert, Black Sabbath seemed pretty mainstream. Mr. Osbourne has said goodbyes to music before, though, so you could forgive fans for not taking him entirely at his word: In 1992, he went on a farewell tour that he billed as his swan song. Three years later, he was on the road again. Outside the arena, Errol Lynch, 45, was one of several fans who said he thought the band had more in store. “Two years down the line, they’ll say, ‘Let’s put our problem behind us,’” he said, adding that even if the band wouldn’t tour again, “they will do an odd festival.” Mr. Lynch, originally from Ireland, was in Birmingham to see the group for the third time in the space of a week. Mr. Osbourne had said that he was feeling emotional in the lead-up to Saturday’s concert, but he gave only a fleeting farewell speech, marveling at “what a journey we’ve all had.” Several times throughout the night he thanked the audience, and at one point he got down on his knees and bowed. When the last song, “Paranoid,” ended, he blew a kiss, took some final bows, then stopped to have his picture taken with his bandmates before loping off the stage.